Walter Palmer is the worst thing to happen to dentistry since Dustin Hoffman was tortured by a Nazi dentist in the Marathon Man. Most hunters I know would say that “hunting” this tame lion with a bow was unethical. I doubt that this guy could have survived a one-on-one bowhunting encounter with a healthy wild lion without a professional hunter with a rifle to back him up. I’m not against bowhunting in general, but the likelihood of a clean kill on a lion when using a bow is very low. On top of all that, you don’t hunt domesticated animals, which is what this lion clearly was. Like the majority of hunters I know, I hunt (mostly deer) to put meat on the table. I don’t hunt predators (though I’d shoot a coyote if one crossed my path, since the coyote population is out of control where I live). I do everything I can to make a clean shot that kills the animal with as little pain, fear, and apprehension as possible. This often means not taking an unethical shot that has a low probability of cleanly killing the animal. I also do not personally bow hunt because I don’t have the skill to do so ethically (though I admire hunters who can). Compare the life and death of a white tail deer that ends up on my family’s table against the life and death of a typical feed lot steer whose steaks you buy from the supermarket, then ask yourself which is better. Anyone who eats meat but says he’s against killing animals is either a hypocrite or a victim of cognitive dissonance. I guess it helps Roger Moore’s conscience to put some distance between himself and the process of actually killing an animal, but who’s really the coward? The guy who can’t bring himself to pull the trigger, but eats the meat anyway, or the guy who is willing to face what eating meat really means? I’ve earned the right to eat meat, Roger. How about you? Thank you for your comments, Jim. Your insights to the reaction to the killing of Cecil are well put. I believe Cecil will likely become the poster child for what enrages all people who are simply repulsed by the wonton killing of animals or, for that matter, any other part of nature. Life consumes life in order to survive whether a steer dies or a carrot, life consumes life. But the killing of this lion, or 96 elephants per day just for two of their teeth, smacks us in the face and makes us look at ourselves as human beings. Caring for life is our responsibility. Caring for the Earth ours as well. One might even look at the agricultural practices in our country and find conditions so abhorrent that participating in that system by purchasing CAFO meat becomes repulsive. It’s immoral and inhumane. I hope Cecil’s story spreads far and wide. I hope people will rethink their consumption habits and choices they make. Call me a dreamer but I believe there are more of “us’ than “them”. Thank you, Susan, for your comments. I don’t necessarily want hunting outlawed, although I haven’t done it myself. Hunting in the US in season, with a prey that’s abundant and not endangered, isn’t something I would have banned. However, the large animals of Africa, particularly large cats and elephants, have been studied by experts who see them as very near extinction in the wild. They will likely be gone in a generation. Poaching is rampant, given ineffective and often corrupt gov’ts in Sub Saharan Africa, and the underfunded and under armed rangers in protected areas don’t have the money, ruthlessness and firepower of organized poachers. The killing of this lion has been determined to be poaching, a crime which Palmer reportedly paid $55,000 for per some news reports. Two locals there have been criminally charged for arranging this but questioning of Palmer has been prevented by his apparently escaping the area and going underground. Fortunately, his business has been identified and has been shut down indefinitely, with protesters often in front of it. While I’m sure he’ll make his way back to the US and lay low for a while, justice would be served by a few years in an African prison. One wonders if, in the unlikely event this happens, the US would try to rescue him. Our Gov’t doesn’t have a good track record in this area; they negotiate for Americans in other countries who committed real crimes while ignoring innocent victims like the reporters held in Iran. I detest the killing of any living creature for “sport” and this story struck a particular nerve. Obviously, the global main stream media covered this story with the intensity it deserved. However, this same media produced a collective silence when it came to reporting the Planned Parenthood videos in which officials of PP spoke candidly and openly regarding the selling of body parts of aborted babies. This practice is incredibly goulash in every aspect, and yet this story has been virtually ignored. Could it be the reason is that it flies in the face of the media’s own bias and agenda? Cecil the Lion is important because he was an innocent victim of a violent crime. But, he was an animal. The lives of human beings are, seemingly, more important than animals … or are they? Not, it seems, according to our “advanced” culture and society. Thank you, Ray, for your comments. I agree completely. 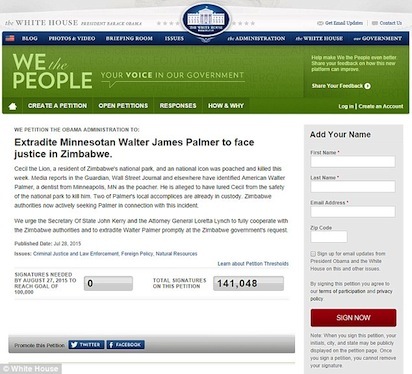 As you will see below, there is a White House petition undertaking that has begun, to extradite Palmer from the United States, to face justice in Zimbabwe. As of now, there are 141,048 signatures, which is more than enough. Ray, thank you for the insightful article. Cecil the Lion’s brother Jericho has been shot dead by poachers, which means that Cecil’s cubs are vulnerable and at risk of being killed. 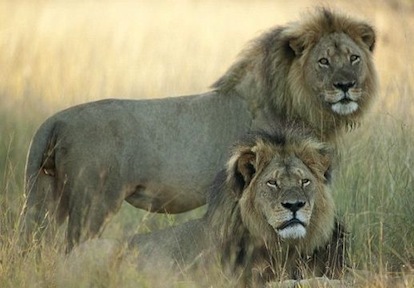 Cecil the lion’s brother Jericho has been shot dead by poachers in a park in Zimbabwe. The beloved animal was protecting Cecil’s lion cubs after he was shot dead by Minnesota dentist Walter Palmer earlier this month, sparking outrage around the world. Jericho is believed to have been gunned down during an illegal hunting operation in Hwange National Park on Saturday afternoon . Johnny Rodrigues, Chairman for Zimbabwe Conservation Task Force, said in a statement: ‘It is with great sadness and regret that we report that Jericho was shot dead at 4pm this afternoon. Before his death there had been concerns Jericho would not be able to hold the territory of Cecil’s cubs alone and could be chased away by rival lions. Unprotected, the lionesses and cubs are now under threat and also [may] move away or be killed. Last week Mr Rodrigues, told the Daily Mail Online Jericho was keeping the cubs safe from any rival males. When contacted on Saturday a woman who answered the phone said he was too devastated to speak. The horrifying news came on the day the Zimbabwe Parks and Wildlife Management Authority announced a crackdown on hunting around the park with Jericho was killed. Palmer has admitted killing the 13-year-old predator Cecil, who was fitted with a GPS collar as part of the Oxford University study. He allegedly paid $55,000 to shoot the majestic creature with a bow and arrow after allegedly luring him away from his habitat with meat. Zimbabwe has called for Palmer to be extradited from the United States after accusing him of killing the much-loved animal illegally. Professional Zimbabwean hunter Theo Bronkhorst insisted he did nothing wrong on the hunt that killed Cecil the lion, telling AFP he was shocked to find the animal was wearing a tracking collar. ‘I don’t believe I failed in any duties at all, I was engaged by a client to do a hunt for him and we shot an old male lion that I believed was past his breeding age. I don’t think that I’ve done anything wrong,’ Bronkhorst said. He said: ‘Both I and the client were extremely devastated that this thing had a collar on because at no time did we see a collar on this lion prior to shooting it. Bronkhorst was granted bail by the Hwange court on Wednesday after being charged with ‘failing to prevent an illegal hunt’ when he led the expedition in early July. ‘It was too late to apprehend the foreign poacher because he had already absconded to his country of origin,’ Muchinguri said. As indicated in the post above, a White House petition to extradite Palmer is gaining signatures. It is an image that will haunt conservationists: one of Africa’s most majestic creatures lying dead on the ground as a white Western hunter poses proudly by its side. Barely three months after the shooting of Cecil the lion caused global outrage, a German hunter has risked the wrath of animal lovers once more by shooting dead one of the largest elephants ever seen in Zimbabwe. But its tusks, which touch the ground in a photograph taken moments after its shooting, confirmed its exceptional nature, weighing an estimated 120lb each. The German national, who the hunt’s organisers have refused to name, had travelled to Zimbabwe to conduct a 21-day game hunt including species among the Big Five of elephants, leopards, lions, buffalo and rhinoceros. Conservationists and photographic safari operators in the area expressed their outrage on Thursday night, saying the animal was one of a kind and should have been preserved for all to see. Anthony Kaschula, who operates a photographic safari firm in Gonarezhou, posted pictures of the hunt on Facebook, said the elephant had never been seen in the area before but would have been celebrated by visitors and locals alike. “We have no control over poaching but we do have control over hunting policy that should acknowledge that animals such as this one are of far more value alive (to both hunters and non-hunters) than dead,” he wrote. Unlike Cecil, the black-maned lion beloved by tourists who was shot by American dentist Walter Palmer in Hwange National Park using a bow and arrow in July, the animal’s origin was not immediately known. It was speculated that he might have come up from South Africa, since there is no border between the Kruger National Park and Gonarezhou, which form part of the Great Limpopo Transfrontier Park created by former South African president Nelson Mandela. Some suggested that the elephant might be a massive bull called Nkombo, who was a satellite collared elephant from the Kruger who lost his collar in 2014. Nkombo was however spotted in the Kruger on October 3, making it unlikely that he would have completed a journey of several hundred miles in five days. 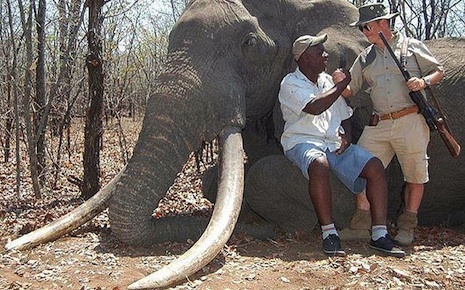 Louis Muller, chairman of the Zimbabwe Professional Hunters & Guides Association, said the hunter had only realised how large the “tusker” was once he had been shot. “He told me when he and his client were stalking this elephant he saw the tusks were big but did not realise just how big until afterwards and he saw them close. He is going back to see if he can find the lower jaw and bring it back so we can accurately age this elephant,” he told The Telegraph. Meanwhile Zimbabwe National Parks has called for stiffer penalties for poachers following the discovery on Tuesday of 26 more elephant carcasses that died of cyanide poisoning at two different locations in the Hwange National Park. Cyanide poisoning is a growing problem in the country since a mass poisoning in October 2013 resulted in up to 100 deaths. The 26 elephants were discovered by rangers following another discovery last week of 14 other elephants, also poisoned to death by cyanide. In the last ten years elephant numbers have dropped by 62%. There are fewer than 500,000 on the African continent today and conservationists have warned that by the end of the next decade, they could be extinct. Some have called for higher trophy fees for larger animals, and the protection of exceptional animals. Some countries (eg. Botswana and Kenya) have banned big-game sport hunting altogether. For others, hunting remains a lifeline to sustain wildlife populations and impoverished communities living among them. Hunters gunned down more than 200 bears in Florida this weekend, when the state lifted restrictions on shooting the creatures for the first time in two decades. More than 3,200 people ventured out with shotguns, bows, pistols, revolvers and crossbows to participate in the statewide bear “harvest”. The Florida Fish and Wildlife Commission had set a maximum of quota of 320 black bears for the cull that was due to last all week. But by the end of the first day, on Saturday, 207 creatures were registered as dead and officials were forced to end the hunt in some parts of the state. The agency said it had issued the hunting permits because the black bear population had surged had to more than 3000, up from just a few hundred in the 1970s and presented a safety problem. 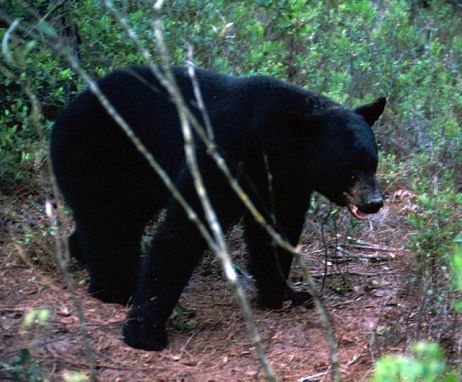 The commission has received thousands of calls from Floridians logging nuisances caused by the bears, such as the raiding of rubbish dumpsters in the past two years. But it has only registered four serious incidences of bear attacks against humans. Animal rights activists reacted in fury to the agency’s decision. Chuck O’Neal, an activist with the Speak Up Wekiva filed a lawsuit citing unsound science used by the state to try to block the cull, but lost in court. Right activists manned the checkpoints where hunters were required to register killed bears, so that they could monitor the cull. “Yesterday was a horrific day of watching these incredible creatures be slaughtered,” said Laura Bevan, southern regional director of The Humane Society of the United States. On Sunday, rights groups pleaded for the hunting to end, arguing that the actual total number of killed bears was higher than the tally counted. They said the agency should include in its count the orphaned cubs that would likely die after hunters shot their mothers. Like Cecil the Lion, and the biggest elephant killed in Africa for almost 30 years, this slaughter must stop. The fate of thousands of wild horses hangs in the balance as the Senate considers an amendment to a spending bill that would allow euthanasia of mustangs and burros roaming free on land owned by the federal government. The amendment would allow the Interior Department’s Bureau of Land Management (BLM) to sell excess wild horses without an assurance they wouldn’t be slaughtered. The matter will eventually be settled in negotiations between the Senate and the House. CBS San Francisco traveled to the Utah desert, 50 miles northwest of Cedar City, to witness a federally mandated round-up of an icon of the American West. Using a helicopter that looks like it was stolen from the set of M*A*S*H, federal agents began the process of gathering 50 wild horses. “When you have horses that close, when they come into a trap site, they’re very fresh, they have a lot of energy. 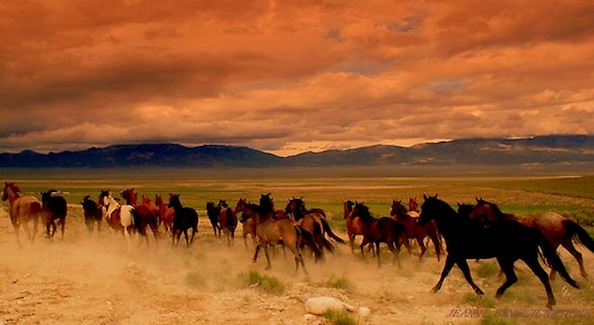 When you’re gathering wild horses, they are wild animals,” said Gus Ward, the BLM’s Wild Horse and Burro lead for Utah. The roundup is the result of a lawsuit settled by the state of Utah over horses encroaching on ranch land. With repeated helicopter passes, stallions, mares and foals are driven out of hills and corralled into a trap to be sorted. From there, they’ll be taken to a holding facility and hopefully adopted. The BLM is responsible for the wild horses. The agency says there should be about 200 horses on this stretch of land. But there are closer to 700. The BLM warns the horses are at risk for starvation in higher numbers. Matthew Wood owns the ranch where the roundup happened. “I enjoy seeing a horse or two now and then, but it falls into the same category as seeing a nice big bull elk or nice big mule deer or a bear or something like that. But when it gets to be so many of them that they’re destroying their own habitat, they’re not pretty anymore,” said Wood. The roundup can be hard to watch, as the terrified wild horses are driven out of the mountains by sounds emitted from a helicopter, forced up hillsides and down gullies and ultimately drawn into the corral by a so-called “Judas horse” that leads the way. “I’ll be quite frank with you, some might put their head down and try to go through the panels. I hope that doesn’t happen,” Ward said. Injuries aren’t uncommon. These roundups, though, might get tougher to stomach in the coming years. President Trump’s proposed budget would allow “humane euthanasia” of excess horses and burros. It would allow unrestricted sale of certain animals that could end up sold to foreign slaughterhouses. It all comes down to money. The new budget for the Department of Interior allocates $24 million more on gas, oil and coal management and $10 million less to manage the wild horse and burro program. That means less money for roundups and holding facilities that house the horses until they can be adopted. “When we have to remove horses, our facilities are full,” said Lisa Reed with the BLM in Utah. Compounding the problem, adoption numbers are way down. Years ago, the agency was adopting out 6,000 to 8,000 horses a year. Now it’s closer to 2,000 or 3,000. Out on the roundup, the proposed budget change has sparked testy exchanges. “These horses that came off the range today, they didn’t only lose their family and their freedom, but they might be slaughtered in the future. There’s no telling the fate of these horses that we see rounded up today,” said Simone Netherlands with the American Wild Horse Campaign, one of dozens of groups fighting to stop BLM roundups altogether. Netherlands says the BLM’s recommended number of wild horses on federal lands — 27,000 on 22 million acres — is absurdly low, and reports of starving horses are “fake news,” spread to convince the public that euthanasia is necessary. “What has been proposed in this year’s budget, in this administration, is preposterous to the American public. We don’t believe that the American public will stand for it,” said Netherlands. BLM employees on the front lines are hoping for the best to happen in Washington, but bracing for the worst. We asked Reed if she worries about the horses ending up in slaughterhouses. “I worry about that every year. That is the last thing we would like to see happen,” she said. U.S. President Donald Trump said in a tweet on Friday he is putting a decision to allow imports of elephant trophies on hold after a torrent of criticism from conservation advocates and across social media. “Put big game trophy decision on hold until such time as I review all conservation facts. Under study for years. Will update soon with Secretary Zinke. Thank you!” Trump wrote. Amid the backlash to reports that the move would apply to two southern African countries — Zimbabwe and neighboring Zambia — White House spokeswoman Sarah Sanders said it was due to a review by career officials at the U.S. Fish and Wildlife Service which began back in 2014 under the previous administration of Democratic President Barack Obama. “This review established that both Zambia and Zimbabwe had met new standards, strict, international conservation standards, that allowed Americans to resume hunting in those countries,” Sanders told reporters. The agency had said earlier on Friday before Trump’s tweet that “legal managed hunting” can help provide incentives to conserve wildlife and habitat and provide revenue to help conservation. The move was disclosed by Fish and Wildlife Service officials attending a meeting in Tanzania this week that was organized by a pro-trophy hunting group. The officials had said Zambia would also be covered by the change, but only Zimbabwe was mentioned in Friday’s notice. Zambia was mentioned in a news release issued by the government. The international affairs section of the official U.S. 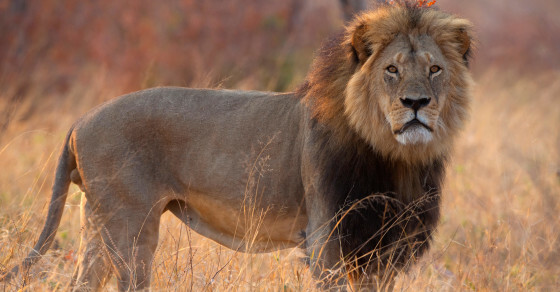 Fish and Wildlife Service webpage shows the agency has already begun accepting permits for imports of trophies from the hunting of lions in Zimbabwe and Zambia. Wildlife advocates said that move contradicts the agency’s decision last year to extend Endangered Species Act protections to African lions. But U.S. hunting groups and the National Rifle Association praised the recent decision on lion trophies, which they said the Trump administration issued on Oct. 20. Africa’s elephant population plunged by about a fifth between 2006 and 2015 because of increased poaching for ivory, a coveted commodity used in carving and ornamental accessories in China and other parts of Asia, the International Union for Conservation of Nature said last year. Wildlife activists argue that corruption is endemic in impoverished Zimbabwe, and that money generated by big game hunting and meant for conservation has been diverted into the pockets of crooks and poachers. Supporters say money made from well-regulated hunts has been used for costly wildlife conservation in cash-starved African countries battling to diminish chronic poverty. The Republican chairman of the U.S. House of Representatives’ Foreign Affairs Committee, Representative Ed Royce, slammed the administration’s decision to allow the imports, saying economic and political turmoil in Zimbabwe gave him “zero confidence” the authorities there were properly managing conservation programs. Zimbabwe was thrown into chaos this week when the army took charge, appearing to signal the end of long-serving President Robert Mugabe’s reign, despite the 93-year-old’s insistence that he remains in charge. The International Fund for Animal Welfare (IFAW) has urged action now to help save lions, elephants and giraffes. As indicated in the article above and the comments beneath it, I support such efforts and similar undertakings. But these latest killings have been found deep in Botswana – close to the protected Okavango Delta wildlife sanctuary, which attracts tourists from around the world. The government disarmed its anti-poaching units in May – a month after President Mokgweetsi Masisi was sworn into office. The units have focussed much of their effort on the border regions, which have historically been more vulnerable. A senior official in the president’s office, Carter Morupisi, told journalists in Botswana at the time that the “government has decided to withdraw military weapons and equipment from the Department of Wildlife and National Parks”, but he did not explain why. The hunters must be hunted. Also, Botswana and other African countries that permit any poaching must be subjected to an international economic boycott. Crikey! The Crocodile Hunter has taken over Google’s Doodle for the day, marking what would have been Steve Irwin’s 57th birthday. The Doodle, which usually just spells out Google in shades of primary colors, gets a makeover from time to time to celebrate an event, holiday or the birthday of a special person in history. Irwin’s Doodle is interactive, the product of a partnership with Google and Queensland’s Australia Zoo, which is known as the “Home of the Crocodile Hunter.” The Irwin-inspired Doodle showcases scenes of the Irwin family interacting with animals at the zoo. Google users also can read a guest post on the Google Doodle blog from Terri Irwin, honoring her husband’s life and achievements, or recall fun Irwin facts by saying “Hey Google, Crikey” to Google Assistant. Irwin mesmerized people with his adventures, and sometimes misadventures, teaching about wildlife and the importance of conservation. He died almost 13 years ago at the age of 44 while filming off the Batt Reef in his native Australia. Irwin’s family, including children Bindi and Robert, have carried on his legacy at the Australia Zoo, which was founded by Irwin’s parents, and by participating in wildlife conservation efforts. Irwin was born in Essendon, a suburb of Melbourne, and grew up in Queensland. His father was a wildlife expert with a particular interest in amphibians and reptiles, and his mother was a wildlife rehabilitator. The family started the small Queensland Reptile and Fauna Park, where Irwin grew up around crocodiles and other reptiles, learning about animals, their care and how they were threatened by development and ecological changes. Irwin later took over management of the park and changed the name to the Australia Zoo. Although many thought the Crocodile Hunter was a persona invented after the success of the “Crocodile Dundee” films, Irwin was the real thing. And when he uttered his famous “Danger, danger, danger,” it was a genuine warning about the wildness of an animal. 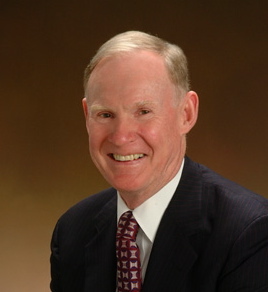 Irwin and Terri met in 1991. She was a naturalist from Eugene, Oregon, on a trip to the Queensland area when she decided to visit the Australia Zoo. She met Irwin there and, she says, the two fell instantly in love. They were engaged four months later and married in Eugene. The Irwins spent their honeymoon trapping crocodiles, and the filmed footage later became the first episode of “The Crocodile Hunter” television series. Irwin, with his signature khaki shorts, Australian accent and occasional mishaps, soon became a worldwide hit, and conservationists praised Irwin for educating millions about wildlife and the need to protect and conserve it. On a personal note, I followed Steve’s career and travels for years; and it was difficult not to like him . . . and learn from him. He took lots of chances, with crocs, snakes and other animals; and it seemed that he was truly a “cat with nine lives”—and then it ended abruptly. According to the incident’s only witness, “All of a sudden [the stingray] propped on its front and started stabbing wildly with its tail. Hundreds of strikes in a few seconds”. Irwin initially believed he only had a punctured lung. However, the stingray’s barb pierced his heart, causing him to bleed to death. Having spent a day in the Cayman Islands following giant rays from the safety of a boat before Steve died, there is no way I would get near one. But Steve was different—and this day was different from so many other charmed days in his life.